The Agile Manifesto is a set of rules defined by 17 experts to improve the development quality. Simple Agile Methodology (SAM Programming) is an Agile methodology inspired by Scrum and Extreme programing but with a simpler and more flexible implementation, here are the principles. A principle in S.A.M. is the dual recognition that customers will change their minds about what they want or need and that there will be unpredictable challenges - for which a predictive or planned approach is not suited. As such, S.A.M. adopts an evidence-based empirical approach - accepting that the problem cannot be fully understood or defined up front, and instead focusing on how to maximize the team's ability to deliver quickly, to respond to emerging requirements, and to adapt to evolving technologies and changes in market conditions. Programmers should take a "simple is best" approach to software design. A simple application will be easier to evolve. Always ask yourself: will my code be easily understood by another person? Manage all tasks and bugs in one place and organize continuously the priority according to customer needs and technical dependencies. If your project has too many tasks/issues (more than 20 per dev in project) stop delivery and clean the urgent tasks. 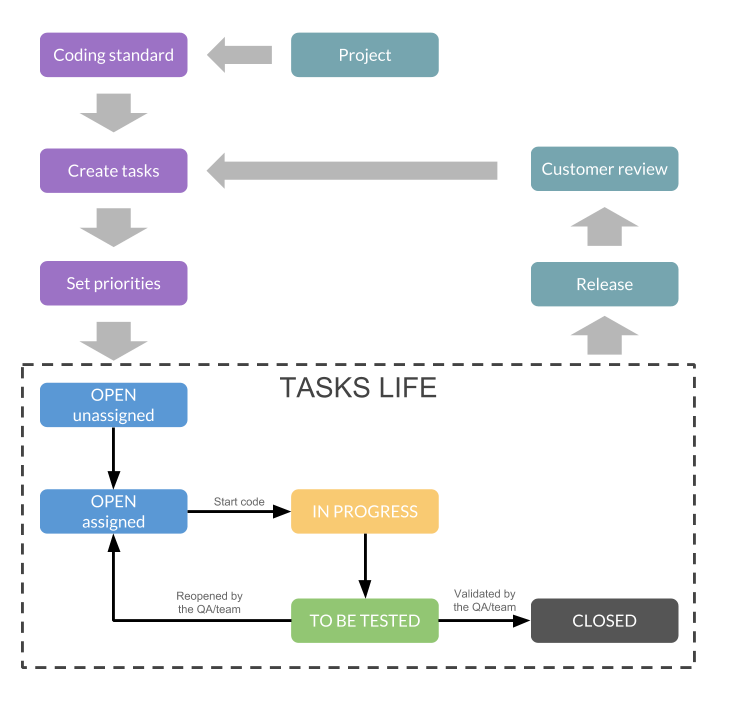 Each developer is free to choose the tasks they want to do. This allows each developer to maintain a global vision of the project and to choose tasks for which he/she will be most effective to work on. Use frequent verbal communication, favor a constructive approach to talk about a problem: "Your code could be faster with this logic" rather than "Your code is bad and slow". Collective code ownership (also known as "team code ownership" and "shared code") means that everyone is responsible for the entire code; therefore, everybody is allowed to change any part of the code. As all developers are involved in the entire code, it is essential to establish and respect naming standards for variables, methods, objects, classes, files, etc. Frequently integrate one's new or changed code with the existing code repository. Deliveries should be as frequent as possible, allowing the customer to see the evolution of the product and modify some aspects if necessary. Tech Lead: The Tech Lead works with the CRL to define the task prioritization. He/she develops the sensitive code parts, maintains the coherence of the project's architecture, and facilitates dialogue in the dev team. C.R.L. (Customer Relationship Lead): The CRL works with the Tech Lead to define the task prioritization. 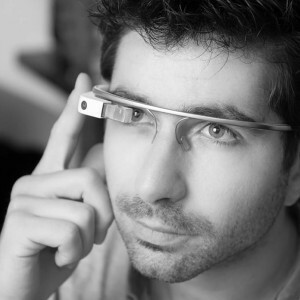 He communicates with the client and organizes the tests. 1 - Define coding standard and project organization, these rules should not be too strict but should just make it easier to understand the code between developers. 2 - Create an initial task list with the main features, do not add too much detail, just focus on the feature. Ex: as a first step for a registration feature, focus only on the mandatory fields. Return later to add enhancements. 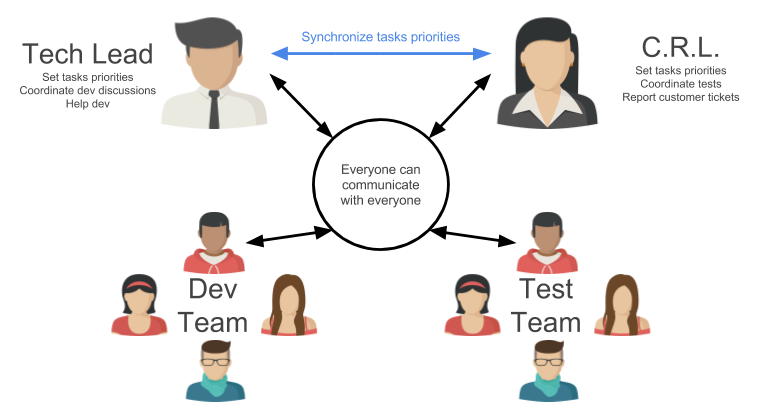 4 - Once the tasks are prioritized, each developer selects the tasks to assign to themselves. 5 - When a task is completed it’s tested by another team that closes or reopens it. 6 - A release is sent to the client as often as possible. 7 - Get feedback from the customer to create new tasks or bugs and go back to step 3.